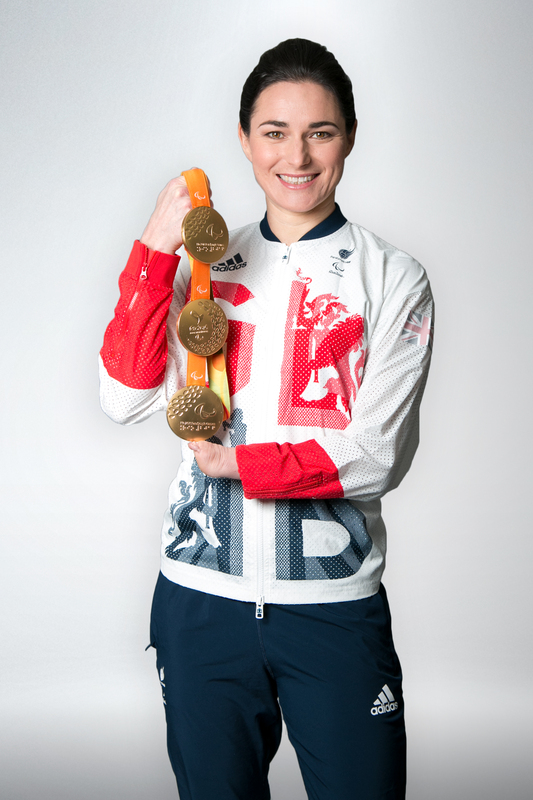 14 Gold, 8 Silver and 3 Bronze medals across an impressive 7 Paralympic Games; Sarah is Great Britain’s most successful female Paralympian in history! Dame Sarah Storey is also one of the World’s most versatile athlete’s having won World and Paralympic Gold medals for her country across two sports (swimming and cycling) over 12 very different events (6 in the pool and 6 on a bike). Having broken 75 world records in an international career that has spanned 25 years [and counting! ], Sarah Storey (nee Bailey) has a unique and inspiring story, not least because she has also won some of her gold as an able-bodied athlete. Sarah became the first woman in 13 years to attempt the Women’s Hour Record, when in February 2015, she fell just 500m short recording 45.502km. Now aiming for her 8th Paralympic Games in Tokyo, Sarah devotes a huge amount of time to developing other athletes, supporting charitable causes and is in high demand as a motivational speaker.